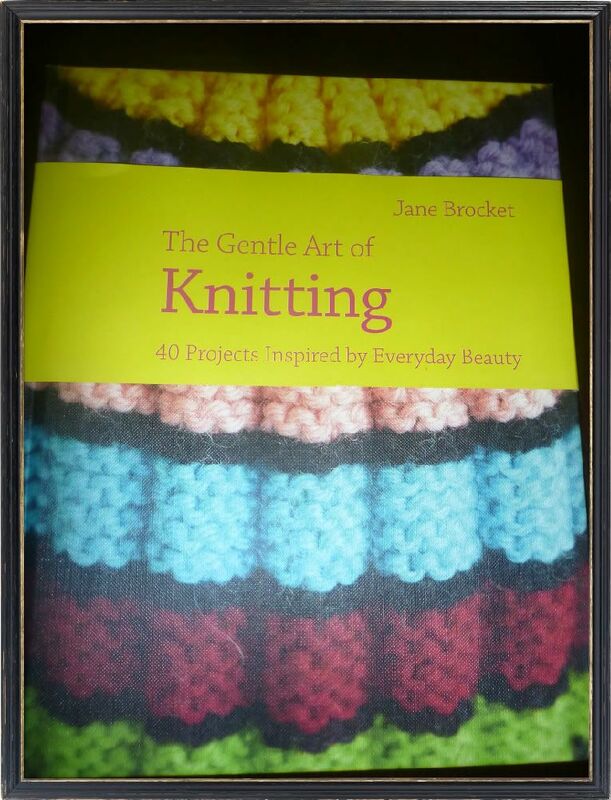 Well for Christmas my Aunt gave me a knitting book that is just awesome! There are a couple ... most of the projects .... that I want to try. I seem to have a draw towards making my own dishcloths ... They just seem so simple and its something I could use everyday. This design is so simple and plain, I can see myself churning them out. 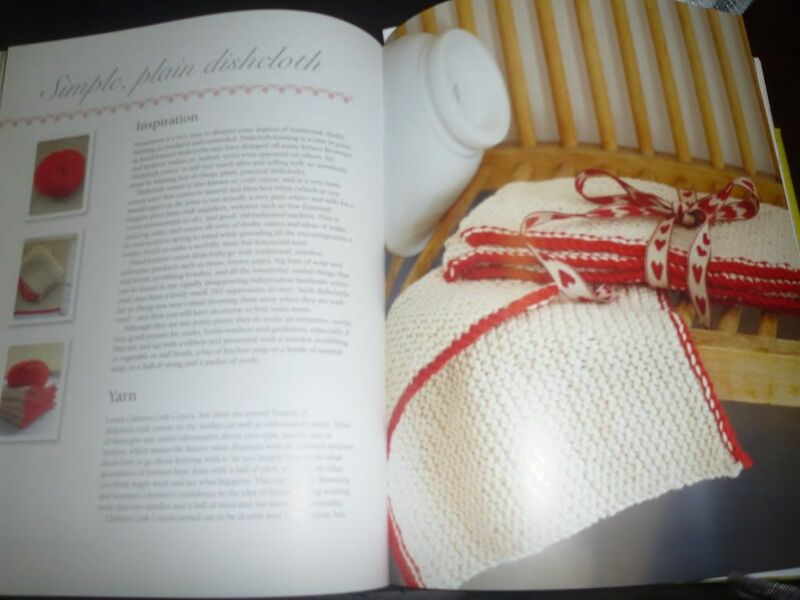 Even though the book is all about knitting there are a couple of crochet projects just because crochet is easier to make some things. I absolutely love this design. 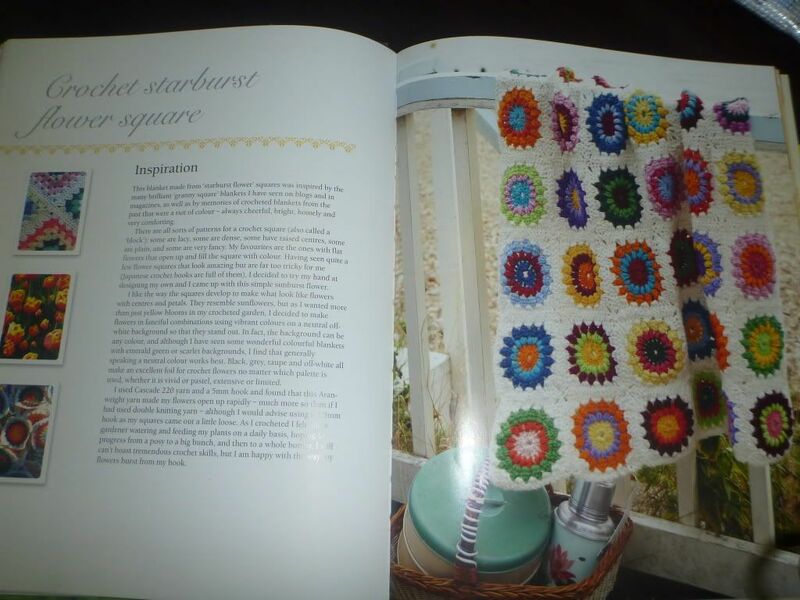 I can see myself making a blanket but I just don't know if I would finish it! It would be a great thing to have my own blanket on the bed. I've been thinking about it for a while but I didn't want to quilt one because they cost a mint but so do crochet blankets but a slightly less mint and it can be done in tiny parts. I will have to think ... the other problem is getting the wool to here. I can't find the really nice wool very easily here which is a great thing as I don't buy any. The other problem with these projects is that they would be on top of whatever cross stitch that I want to do. Oh the choices! What a nice gift from your Aunt. Knitting and crocheting can be very rewarding. Wool is expensive but if you are going to make a blanket you can buy lots of diffent end of line balls which are usually discounted. The different colours and textures of the wool will add to the beauty of the blanket. this book sound so lovely..